A patient at UCHealth Medical Center of the Rockies in Loveland, was the first patient in an eight-state region to receive the implantable remede System, which is the latest treatment for central sleep apnea. 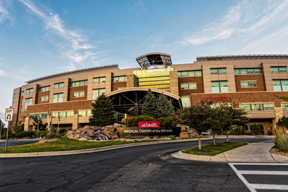 LOVELAND, Colo. (April 4, 2019) – UCHealth is the first health system in the Rocky Mountain region to offer the latest, implantable treatment option for people with central sleep apnea. In a recent breakthrough procedure at UCHealth Medical Center of the Rockies in Loveland, a man became the first patient in an eight-state region to receive the implantable remede System. Central sleep apnea is a serious neurological condition in which a person’s sleep is disordered because the brain does not send the correct signals to the breathing muscles during sleep. It can lead to excessive daytime sleepiness, reduced exercise capacity, a decrease in blood oxygen levels, difficulty concentrating and irregular or very fast heart rhythms. 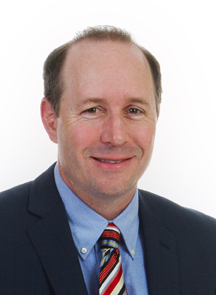 “Treatment for this particular type of sleep apnea has been a significant challenge over the years. But this new technology is a major step forward that will enable us treat these patients more effectively,” Neagle said. Heart failure is when the heart can’t pump as well as it should. Or the heart muscle can’t relax and fill the pumping chamber with blood. According to the Heart Failure Society of America, the condition affects over 6.5 million people in the United States. 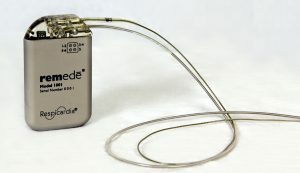 The remede System includes a small pacemaker-like device that is implanted under the skin in the upper part of the chest area. Photo courtesy of Respicardia. About six weeks after the procedure, the patient returns for a followup appointment with a sleep medicine physician to activate the system. Once fully optimized, the system will restore sleep throughout the night by monitoring and stabilizing the patient’s breathing pattern. 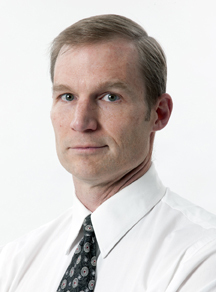 In 2016, UCHealth was the first in Colorado to offer Inspire Sleep therapy, another groundbreaking sleep apnea technology that helps patients with obstructive sleep apnea – which occurs when throat muscles intermittently relax and block the airway during sleep – who can’t tolerate use of continuous positive airway pressure, or CPAP, while sleeping. For more information about treatments offered through the UCHealth Sleep Lab in northern Colorado, call 970.495.8674 . UCHealth offers comprehensive sleep medicine care at locations throughout Colorado, including the UCHealth Sleep Medicine Clinic – Anschutz Medical Campus in Aurora and sleep centers in Steamboat Springs, Fort Collins, Loveland, Colorado Springs and Denver.